Define unique profiles (preferred settings) for EACH timeframe for the SAME pair or asset being traded in MetaTrader. This is impossible with a standard MT4 indicator! Copy profiles to ALL the MT4 timeframes for a given chart symbol with one click! (This effectively provides the same functionality as a standard MT4 indicator where the indicator parameters are the same accross all MT4 timeframes. 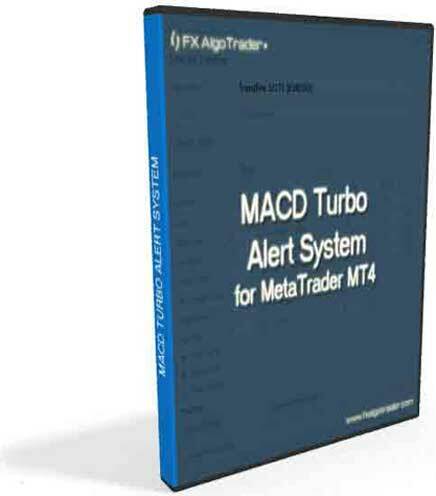 MetaTrader MT4 traders can receive email and/or push notifications when MACD crossover alert conditions are triggered. 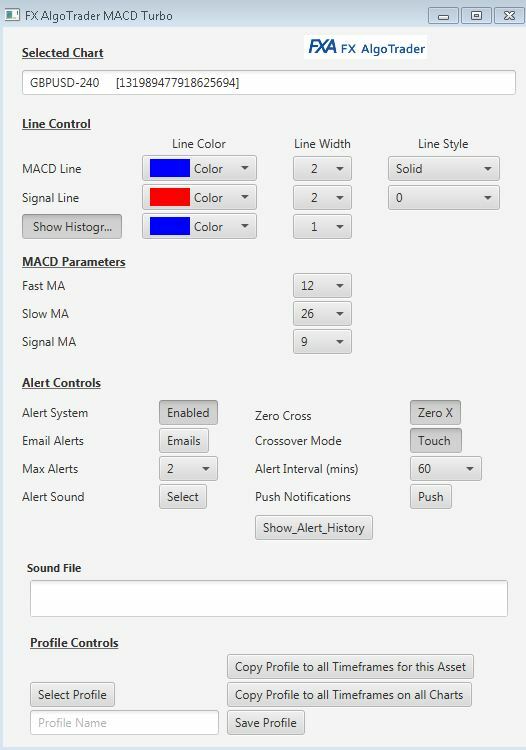 Simply set up the MT4 email options and then click the Email button in the Alerts section of the MACD Turbo Java FX Interface. So what's so good about this MACD crossover indicator? Control of multiple MetaTrader charts - the same interface can control MACD Turbo indicators on multiple MT4 charts! The interface automatically detects which MT4 chart is currently being worked on! 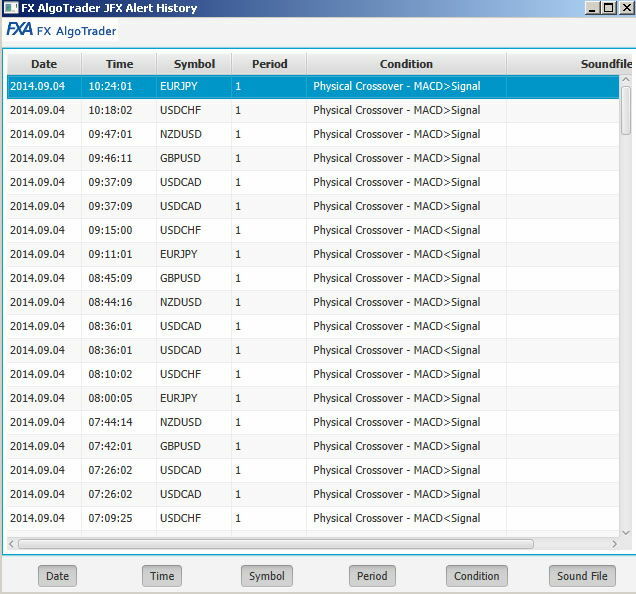 Sophisticated alert module which can be sorted, customized etc - The on sceen alerts are delivered using JavaFX - this has many benefits over the standard MT4 pop up alert.... you can pop the interface up any time you like to review the alert history and you can also configure the alert interface how you want it to look. It's 100 times better than the standard MT4 pop up which is quite old technology in comparison. Easy Installation - just point the installer at the MT4 Data Folder.. easy! Faster load time - no indicator lag or latency - all the FX AlgoTrader JavaFX based tools make one call to the license management system when the interface is initially loaded.... after that the indicators behave exactly like standard MT4 indicators in terms of performance... for the techies... It's 100% client side technology on the MT4 side. Products such as the Orion Index Analyzer or the Generic Index Analyzer all help traders to optimize their forex pair selection and massively reduce the requirements to perform top down analysis on all the major pairs and crosses each day.